The history of the Kamui clan must begin in the days when the villages were nonexistent and a millennium from establishment, with the legend of Pauchi Kamuy, the Ainu god of insanity. He was formerly known as the “Angel of Muse” to the people who did not participate in the Ainu sect of religion, because his very extraordinary and charismatic presence in both the supernatural and earthly dimensions. His gift of vibratory and auditory technique gave birth to some of the greatest musicians of the land, as well as the most charismatic leaders of the land. Of course, those who were ninja and were marked by Pauchi Kamuy in his yearly search for talent were Pauchi Kamuy’s closest partners. The more powerful ninja especially were privy to his extraordinary genius, creating a combination of ninjutsu and genjutsu that were almost indiscernible in type. No ordinary ninja would be able to differentiate their ninjutsu from genjutsu, especially when Pauchi Kamuy himself used the techniques upon mortals. Eventually, the diverse ninja from all walks of the world who bore Pauchi Kamuy’s ponderous mark of ability were united by the Angel of Muse himself, under one banner and one name: Kamui. He became a respected and vilified clan leader and bore, amongst his other titles, Kami-Kamui. The Kamui clan became one of the most powerful and independent factions in existence- even spawning enough ninja with the Kamui Kekkei Genkai to form the first Nation of Sound in the Land of Sound, which was a sizeable piece of land that Pauchi Kamuy selected and prized. It was so massive that it included the present-day Land of Fire. This earthly power made the formerly benevolent and popular Pauchi Kamuy arrogant and hungry for even more. Eventually, his jealousy of the other gods, Supreme Kami Izanagi in particular, made him spiteful enough to plan a coup against every god- a coup that, if successful, would allow him to defeat and therefore absorb Izanagi’s power and destroy every other supernatural deity. He rallied his massive shinobi forces on Earth, insidiously manipulated many of the lesser gods in the supernatural dimension against the great master Izanagi and commenced the attack. His generals he awarded quite prematurely titles of surname: Kamui-Diahbal. However, as mighty as Pauchi Kamuy was, he still underestimated the might of the Supreme Being. Pauchi Kamuy was defeated in a lengthy and costly war that shook the world and caused massive annihilation of living beings, humans especially. The now disgraced “Angel of Muse” was stripped of all of his beneficent titles, cursed to forever be a god of insanity, banished to Yomi for all of eternity and his formerly glorious land completely razed and destroyed. The Kamui ninja who lived were sentenced to a less harsh fate- the ones who were merely innocent pawns were spared any harm and even allowed a decent life. Those, however, who were foremost in the strategic ranks and quite aware of the atrocity that Pauchi Kamuy intended to commit, were cursed to be forever hideous, walking and living skeletons that haunt the Earth forevermore. Even their children and their children’s children had been destined for that fate- and even centuries later, an ugly child makes its appearance into the world. Now, the clan is rootless, but Izanagi ordered that the history of the rise and fall to always be branded, with unerring precision, into the Earth and especially within the now recovered land where the massive Land of Sound was once resplendent in its beauty and power. Although the members of the clan are now scattered, some are still aware of their ancestral history. These, however, dwindle with every day as the clan of Kamui becomes more and more interwoven amongst the mainstream culture of ninja. Auditory Vibratory Sense (a.k.a Sonar) and manipulation of these vibrations by use of ninjutsu and genjutsu. Of course, people may choose tattoos of their own choice that are not the ones from these links. Description – Each Kamui bloodline ninja has the ability to discern and sense vibrations on a level unrivaled by other ninja. This is the sense that every Kamui is born with, a sensitivity that is often passed off as a weakness by others. As many soon discover, especially after awakenings, this assumption is a terrible mistake. With the ability to sense these vibrations comes the ability to manipulate them, for better or for worse. 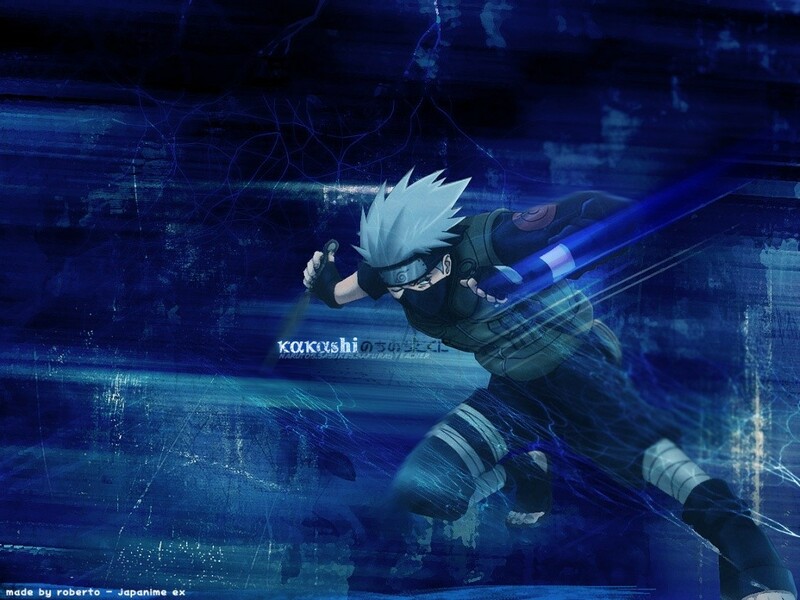 Description- Kamui ninja has the option of turning their Kekkei Genkai on and off. Normally, a ninja would be able to turn the sense on and off with instant success. However, during battle, this ability is delayed the first time a ninja attempts to switch the sense on or off. It is akin to activation energy in a chemical reaction; it costs three individual posts to switch the sense on and three individual posts to switch the sense off. Kamui ninja who are “awakened”, or advanced enough to be “Kamui Diabhal” ninja (or ninja who have mastered B rank or above Kamui techniques) have an option of learning an upgrade this technique that decreases the number of posts needed to pass the first round. If you like came here and actually looked at like this clan, you'll probably like notice that the Jutsu section is like incomplete. I've like run into a temporary rping block, so like look and evaluate what you wish. Thank you! Think like Toph from Avatar, I think. Basically.. uuh.. tremorsense, from D&D? You can feel the vibrations in things, and can like "see" without your eyes based off movement and such. And also.. in fact, this is reminding me a lot of the Xi clan, so.. maybe just make the tremorsense ability a Xi custom and call it a day? lol, toph was able to sense if someone was lieing and also where everyone was thanks to the vibrations in the ground. She is the one that trained Ang on how to earth bend... She was blind so it came in really good handy to be able to sense with the use of vibrations... think of the movie tremors... that might help too. Sensing if somebody is lying based off vibrations is kinda.. nonsensical. Keep that to stuff like Kagura. Kenji- That I'll like totally do. My bad! XD Novaix is like, Right on! However, like, that is only one of the many interpretations that like can be derived from this clan. It's like completely up to the member to interpret this in like the way he/she wishes to...the techniques are like merely a way to guide the member along...and to like provide lines of like guidance. Of course, I shall like put some examples on, too, and like the other techs should make it much more clear. As I said, like, it's incomplete. *grins* Like, because, this is meant to be more like bat-like than anything. Think sonar, like, instead of "Earthbending". Again, 'tis up to like the user to interpret. Nay, nay, I never said like that "hearing" was not allowed. In fact, like, if you look at the Kekkei Genkai description...various ways of sensing the vibrations are like totally allowed. I merely meant, like, that because of all of these ways, there are like different interpretations of this clan. well, you can't really leave it up to each individual member to determine what the clan does... considering everyone's going to interpret it differently, so it's going to end up all over the place. a clan needs to at least have basic jutsus outlined so if people want to make customs, they know what to do... instead of guessing. That, like, I'll totally agree to. Time to like make things a lil' more specific. Teehee. As I said, like, the techniques are like incomplete. I will like totally fix the description to help like facilitate the understanding process. Okies, like I made some adjustments. Better, or like not? I sort of eliminated like all of those other options, although really it like broke my heart to do so...like, I like giving people as many choices as like possible. Oh well. Plenty to do within like this sphere. erm... I think I'm just going to hold off on this until you make some introductory jutsus for it. I still can't picture what this would actually do without seeing examples. That's what other clans are for, silly. Or just, like, asking if you can, if you really want to.